A polygon with four sides is a quadrilateral. A quadrilateral in which both pairs of opposite sides are parallel is a parallelogram. 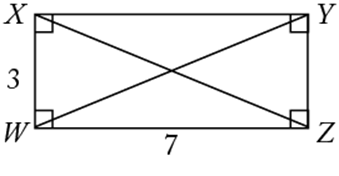 The opposite sides of a parallelogram also have equal length. In parallelogram JKLM, and ; and . 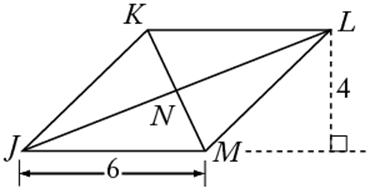 The diagonals of a parallelogram bisect each other (that is, and ). The area of JKLM is equal to . 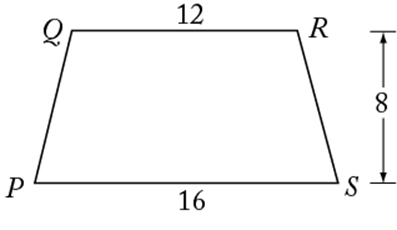 A parallelogram with right angles is a rectangle, and a rectangle with all sides of equal length is a square. The perimeter of and the area of WXYZ is equal to . The diagonals of a rectangle are equal; therefore .